I am so glad that my wife and i made the move to live here in La Hoya. nr. LaMarina..It's been almost a year to the day,loving every minute. 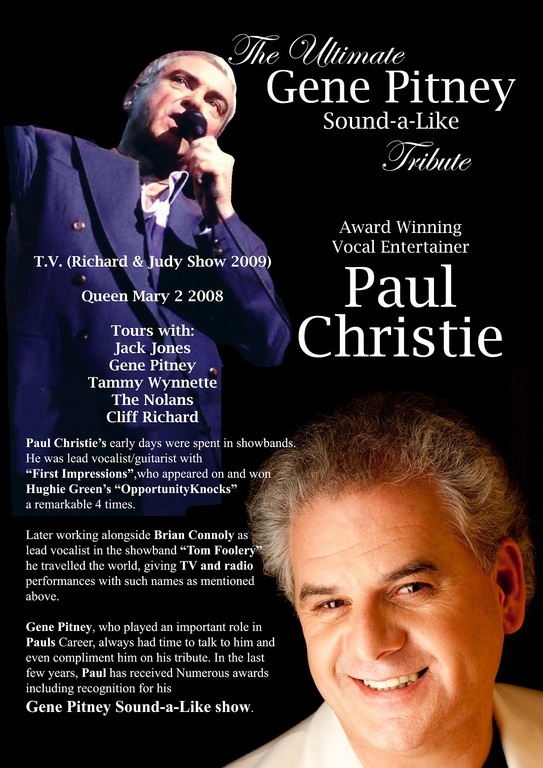 My professional career as an entertainer..The Gene Pitney Ultimate Sound-A-Like and Roy Orbison Show has been based in the UK but I have performed worldwide gaining a wealth of valuable and exciting experiences. I have one of the best sound systems money can buy..NEXO just for the people who may know what this system is. Look forward to meeting you !